In June, I wrote about some limited edition Swarovski – Steiff Bears that launched earlier in the year. 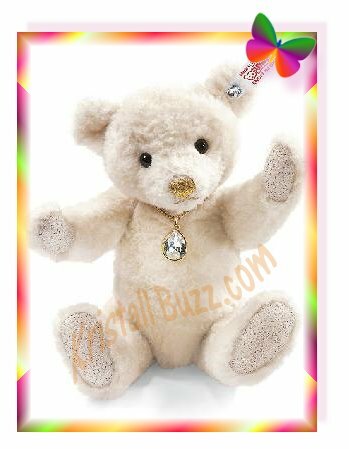 Now, there is official news about another limited edition teddy bear…the Swarovski Steiff Bear ‘Cookie’, the Holiday Bear. The Steiff description states that this teddy bear, Swarovski Steiff Cookie, is made of mohair and alpaca. Cookie’s necklace is the Swarovski Twinkling Gingerbread Man. 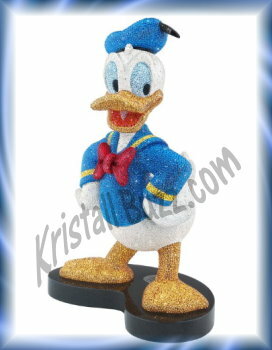 The Twinkling Gingerbread Man Ornament was introduced in 2011, and presently retails for $45 at the Swarovski online shoppe. How fitting of the name, ‘Cookie’ the Holiday Bear, wearing a ‘gingerbread man cookie’ on her neck! 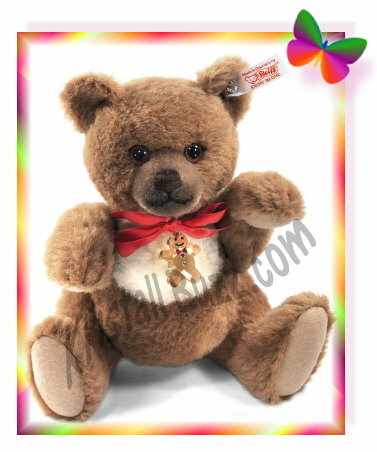 Steiff Bear Cookie is a Limited Edition Bear with a maximum production of 1500 units. 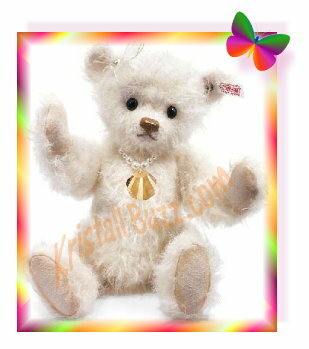 The Steiff USA web site and stores in North America will be accepting orders for this Swarovski teddy bear very soon. The suggested retail price on the Steiff Holiday Bear Cookie is $310. Steiff Cookie may be at a slightly lower price at Sunny-Bears.com . With only 2000 available in 2011, the Steiff Sapphire Bear not going to be available for very long. Steiff retailers told us that the limited edition Swarovski-decorated bear was quick to sell out this year. The bear’s coat is a deep blue made of silk material. 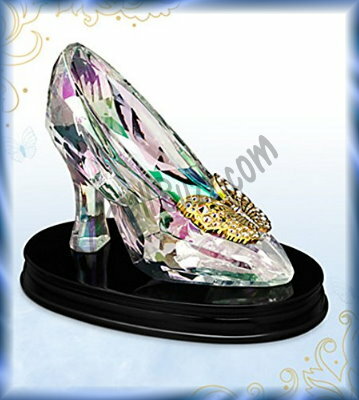 The bear has paws encrusted with Swarovski crystal Elements stones that reflect a prism of colors accenting the sapphire blue color. 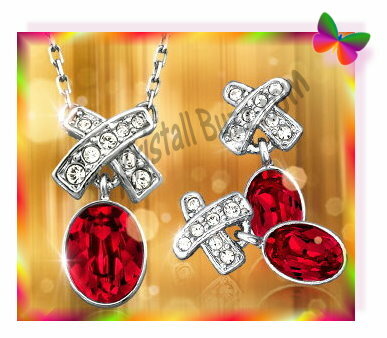 Sapphire also wears a choker around her neck made Swarovski Elements. Naturally, the bear includes a white label with the famous Steiff button in the ear. Every Steiff Sapphire bear includes a numbered certificate of authenticity and is packaged in a special Steiff gift box. 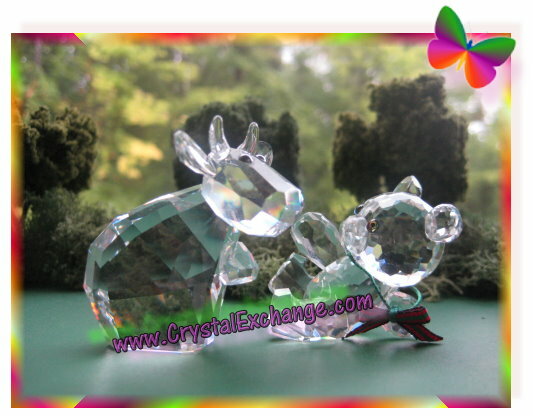 Crystal Exchange America does have the Swarovski Sapphire Steiff Bear available now. If you are a Steiff Bear fanatic, this may be one of your last opportunities to purchase this special limited edition bear at a reasonable price. 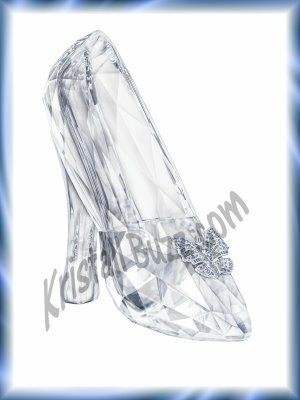 The La Lupa Sculpture is a Swarovski NLE (numbered limited edition) available at a Swarovski gala event in Italy in mid-October, 2011. 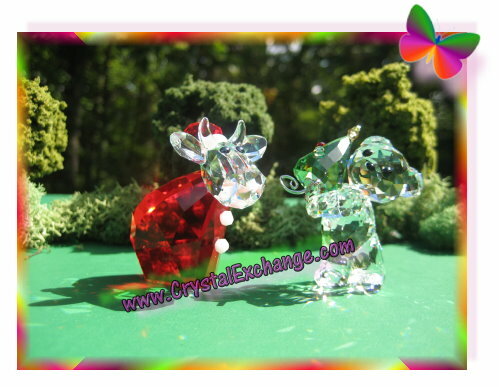 Swarovski La Lupa is actually produced in 2 different sizes. 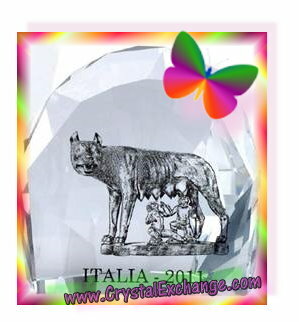 The Swarovski La Lupa Sculptures will cost €600,00 or €2550,00 depending upon the product being purchased. 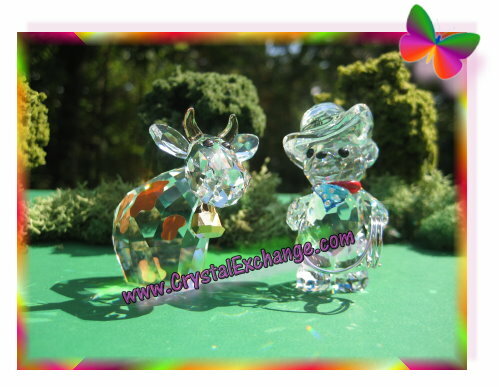 These are very interesting Swarovski crystal sculptures. I’ll be anxious to see if we find them at the online auctions soon, or better yet, perhaps we’ll get one listed at the Crystal Exchange America web site: www.CrystalExchange.com .